Worried about cuts and scrapes on Koh Rong? You should be. There’s not much medical care on Koh Rong, although there is now a medical center that offers very limited services. 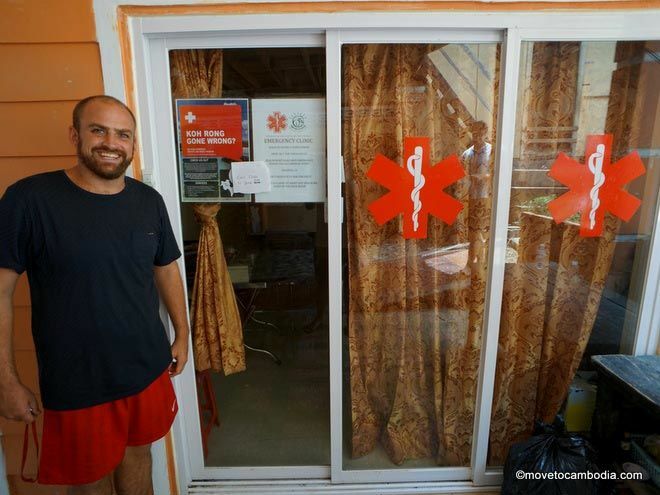 The newly opened Koh Rong Emergency Services was started by a group of Koh Rong expats looking to offer free healthcare to tourists and locals on Koh Rong. It’s run entirely on donations, and they usually have a nurse or trained paramedic on hand. In addition to treating common problems such as wounds requiring stitches, dengue fever, and drug overdoses, they can handle a range of other complaints and can stabilize people with more serious medical issues for transfer to Sihanoukville. Jake from Bong’s, one of the founders of Koh Rong Emergency Services, which can handle minor complaints. There are several small, expensive pharmacies on the island in the Koh Toch area that sell a limited supply of prescription and over-the-counter medications. One is at Elephant Guesthouse. Another, Best Friend Pharma Cabinet in Koh Toch Village, offers untrained medical services in addition to selling common drugs. They advertise “free consultation, IV, and wound cleaning,” but we can happily say that we did not test out their services. For anything more than a (very) minor injury, you’ll need to head back to shore and get care in Sihanoukville. Check out our page on medical and emergency services in Sihanoukville. If you’re smart, you’ll bring sunblock and basic first-aid items with you to the island. 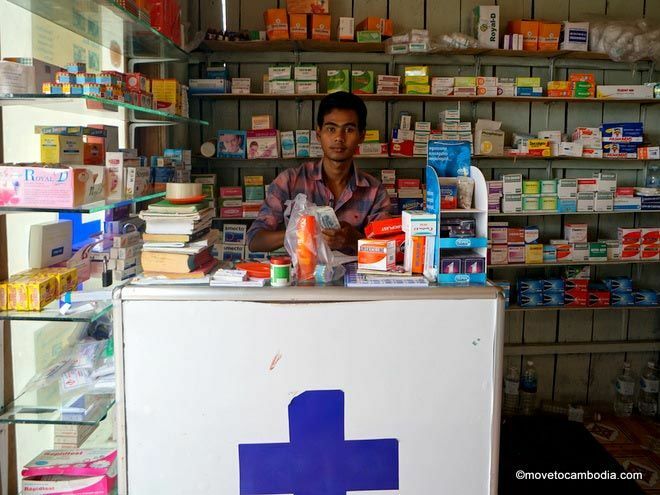 Mini-marts carry bandages and ibuprofen, and some medications can be bought at the island’s pharmacies, but what little is available is overpriced. If you’re going to be on the island for more than a few days, bring any medication you think you might need — infections and diarrhea are common. Medical supplies and medication are available over the counter at all pharmacies in Sihanoukville. There’s one at the top of Serendipity Beach Road on the way to the the ferry. See our ‘before you go‘ section for more details. The pharmacy at Elephant Guesthouse carries a range of common medications. Even if you manage to get to Sihanoukville, the medical care available there still leaves a lot to be desired. 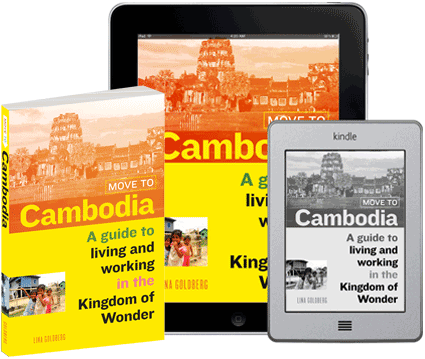 If you get into a serious accident while on Koh Rong — the story of a young woman who was gored while attempting to take a selfie with a water buffalo still haunts me — you may need, at a minimum, to travel to Phnom Penh or even Bangkok. 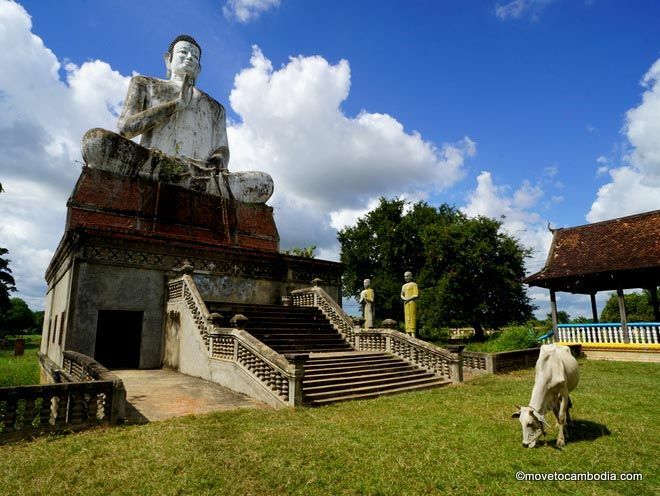 Emergency evacuations can cost upwards of $20,000 if you’re not insured, so it’s important to have travel insurance when you’re visiting Cambodia, or health insurance if you live here.